Streaming. What would our world be like today without streaming? We stream everything from music to movies to YouTube to live news and sporting events. We stream and stream. But one thing we don’t necessarily stream, are graphically intense video games of the AAA variety, because we have to worry about this little thing called latency. Google thinks they may have a solution, though, and it’s called Project Stream. On October 5, Google is going to open up a test of Project Stream to a limited number of people. 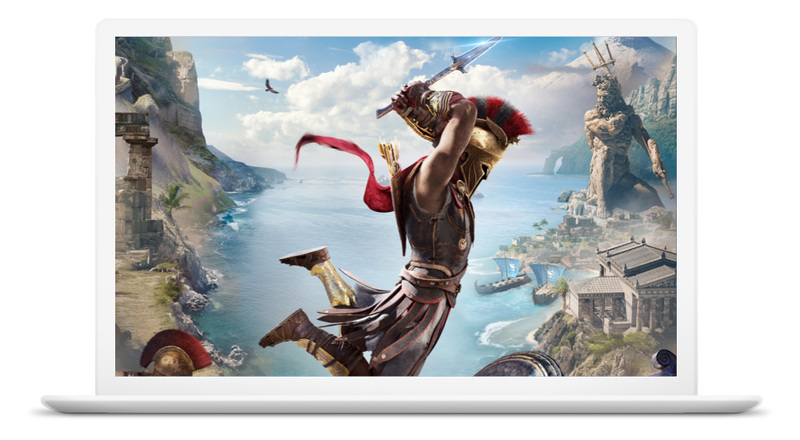 During this Project Stream test, they’ll give participants a chance to play Ubisoft’s not-yet-released Assassin’s Creed Odyssey for free in a Chrome browser on a laptop or desktop. The point of this testing is to stream “graphically-rich” content that as Google puts it, “requires near-instant interaction between the game controller and the graphics,” to try and do so with milliseconds of latency and no graphic degradation. Gamers don’t want lag or latency or hiccups or slowness or stuttering. They want precision with controls and a game that still looks great. Google wants to try and give you that through a stream that is playable through a browser. This news obviously makes us think about Google’s rumored “Yeti” service that was supposed to be a game streaming service similar to NVIDIA’s Geforce Now. NVIDIA’s product allows you to stream AAA gaming titles from their own servers to your home through a computer, as well as SHIELD TV. Google was reportedly working on some sort of console device to help with this, but this test sure makes it sound like they may instead bring game streaming to Chrome. Again, there are limited spaces available, but if interested, you can hit that link below. The only real requirements are that you have an internet connections capable of 25 Mbps down and are at least 17 years or older.